Question: How many design reviews are required during medical device product development? Answer: There are many factors that go into determining the number of design reviews needed. 21 CFR Part 820 and ISO 13485 both require design reviews (Additional information is also found in FDA Design Control Guidance for Medical Device Manufacturers and in ISO/TR 14969 Medical devices – Quality management systems – Guidance on the application of ISO 13485:2003, which will be revised to align with ISO 13485:2016). The language varies, but the basic requirements are as follows. Your company may have defined the specific number of design reviews within your quality system. Other companies maximize flexibility by allowing the project team to define the planned design reviews within the Design and Development Plan (DDP). At a minimum, you must have at least 1 design review before you launch. However, the number of design reviews depends on factors such as device complexity, device risk, intended use, etc. These are system level reviews that include cross-functional representation. They are useful to ensure key, project related and organizational interfaces are reviewed and conflicts resolved. Some organizations choose to use a design review for every major design control deliverable that is generated during product development, e.g. design inputs, risk management deliverables, etc. However, that is not required by the regulations. Other companies use cross-functional teams to approve those deliverables. 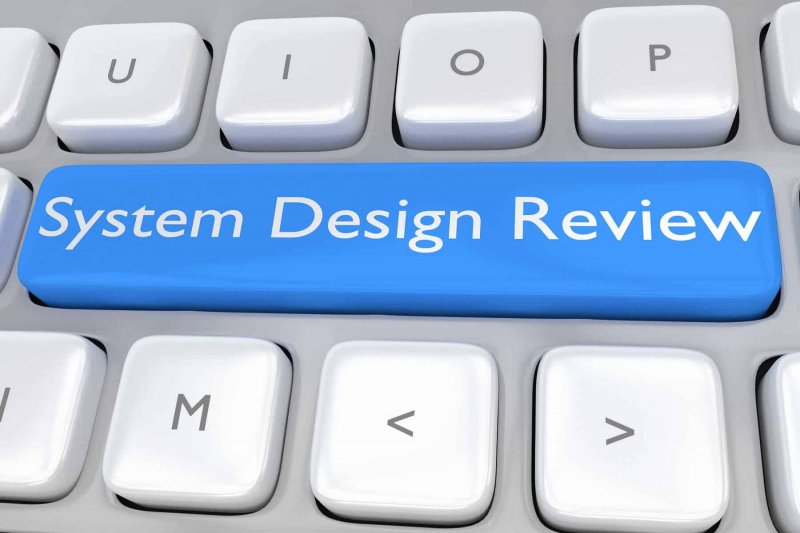 For simple devices, I suggest 2 design reviews: one after the DDP and design inputs are defined and the second after design verification and validation (V&V), plus the final risk report creation. As device complexity increases, you may decide to include additional design reviews. You can also use technical or engineering reviews, which are not defined by the FDA or ISO, to evaluate the detailed device design. The objective of this review is to ensure the design meets the intent of the design inputs, but also to provide technical input to generate a better design. The reviewers do not have to be the same ones used for design reviews. A technical expert should be included to provide an unbiased review of the design. You can use these types of reviews throughout product development to gather feedback. They are especially useful for architecture design, sub-assembly reviews, and to establish a design freeze, prior to entering design V&V. While, the number of design reviews needed for a medical device product development project may vary based on the project and your company’s procedures, be sure to use your engineering judgement to define the number that makes the most sense for your product.